You are here: Home / Blog / General News / Preparation is the key! A client from IPAR’s New Employer Services team is celebrating a new full time job thanks to a fresh vocational direction, extensive support and confidence building from IPAR. The injured worker had been out of work since December 2011 and was growing increasingly frustrated and demoralised applying for jobs in his qualified field of Electrical Engineering, where he was unable to make it past the application or first interview step due to a lack of field knowledge and experience. 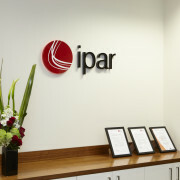 After a review of his current capacity and transferable skills, IPAR proposed a fresh approach. A new vocational option would be explored – supervisor or management roles at local restaurant chains. After unsuccessfully pursuing employment in an industry in which he had little experience, the worker realised he needed to utilise his previous management experience in an industry in which there were greater opportunities for someone with his skills and knowledge. The option was discussed and given the ‘go ahead’ from his General Practitioner, so IPAR commenced an intensive period of locating and brokering interviews. 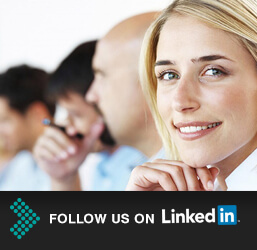 The next step in the ‘plan of attack’ was improving interview preparation and restoring confidence. IPAR conducted a number of mock interviews with our client to improve his ability to confidently respond to a range of questions, and provided tips on how to research the potential employer’s operations and produce to show initiative and get a good understanding of the business. The preparation paid off, with an initial interview leading to a second interview with the company CEO and owner/proprietor of a number of restaurants Australia wide. More preparation was required for this higher level scenario, so another intensive mock interview was held with IPAR and assistance was provided to complete a post-interview questionnaire. A day after his second interview, the client advised that all the preparation had ‘paid off’ as he successfully gained the position of Restaurant Manager. Significantly, the worker stated that the job brokerage and intense interview preparation from IPAR was crucial in him regaining his confidence and gaining the job.